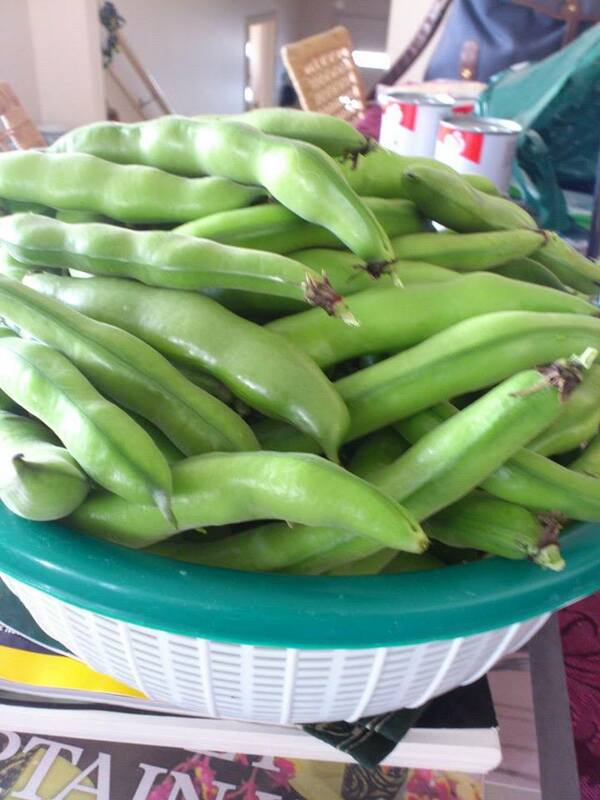 The broad beans are coming! And I mean it! 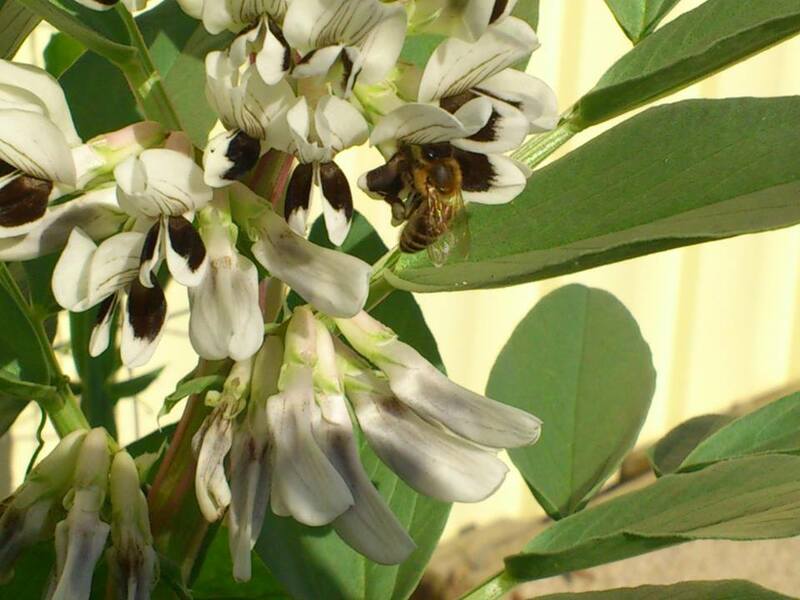 Last year was the first time we planted broad beans or Vicia faba, to give them their proper scientific name. Even though this was also the first time that the family would eat them, these beans have been important to human beings for centuries, since 6000 B.C., in fact. I planted a whole row of the huge brown seeds in July, thinking of flowers and nitrogen enrichment in the days ahead, rather than actual seeds for eating. Now July is also the coldest part of winter here, when pretty much everything else in the garden waits in a state of suspended animation. Not so these beans! They came up in the space of four days, big green cotyledons unfurling coquettishly, rather like eyelashes on a Martian cow. Every single seed sprouted by the end of the week. One that had fallen down and disappeared among the bricks in fact sprouted about two weeks later, once the soil there had received some watering. To say I was pleased would be an understatement. The plants began to grow and grow some more. I firmly believe that these must have been from the same stock as Jack’s proverbial Beanstalk, from the height they reached in a month. The leaves have a way of coiling around the stem as they emerge and so the tips always look as if they have somewhere else to be and are just dropping in on the way to a better party. We tasted the leaves and found them just like peas. They will do wonderfully in cooked dishes as a pea substitute although we did not cook any last year. We did use plenty in salads though. By now the plants were two months old and about as tall as me. Still no flowers though, which had us starting to get a bit worried. One does plant food plants for food and having a few leaves for salad seemed to me to be a waste of the space we had allotted the beans. Aha, the space! The broadies were also each a foot in diameter and leaning against each other heavily by now. We placed a long stick in front of them to hold them off the path in front of the terrace bed where we had planted them. Suddenly, almost overnight, there were little dark buds at the axils of the the leaves all around the stem. As we watched they grew into sinister looking flowers, very like the garden peas and sweet pea blooms, but much more robust. They are black and white in colour. I read up all I could on their pollination and found that the suggestions ranged from doing nothing to spraying the plants with sugar solution for ‘beans like hands of bananas’! We went with nothing. As you will see, we had excellent yields. In fact we still have a kilo of beans in the freezer. Soon there were baby beans all growing happily on each plant. The plants are not affected by cold or by insect attacks. We found the occasional snail on the back of leaves but never any signs of obvious snail damage. We snacked on the thinnest baby beans but were also mentally preparing to go through the process of making the fully formed beans fit for eating. It is a long process and may be a deterrent to many people. The beans must be shelled and the pods are completely inedible. Even the rabbits will not eat them and can in fact fall violently ill if they do. 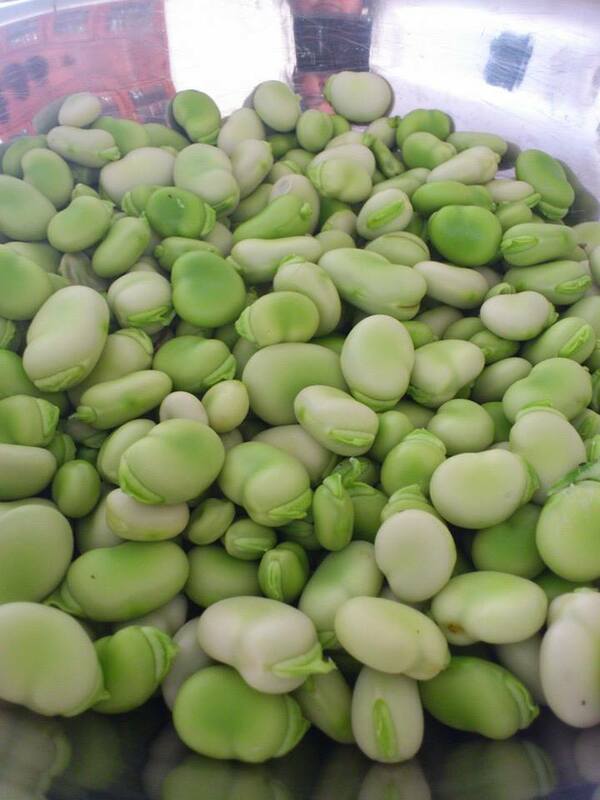 The bean has a pale green cover which then needs to be removed before you can actually use the bean as food. This was done by blanching them in boiling water. The skins split and are much easier to remove once the blanching is done. Each skin is removed to reveal bright green bean halves. Now you may eat your fava beans. With Chianti and liver, if you are inclined that way. We found them a great addition to soups and stirfries, even vegetable curries. We did leave one stand of plants so that we would have seed for this year. 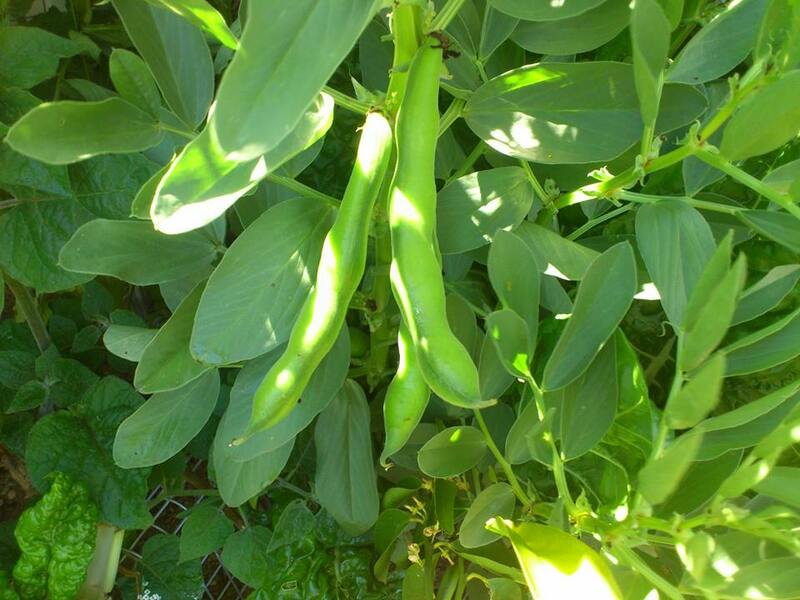 I will plant them in July as I did in 2013, but I am also noticing that there are baby broad bean plants coming up in the garden after the recent autumn rains we have had. I am going to transplant the ones that are too far from where they should be. It promises to be another great year with the broadies! Unshelled beans: two kilos will give you the amount in the next photograph. 750 gms of beans from the pods in the previous photograph. The Italians love it pureed, the Manipuris eat it as Eromba and the Dutch don’t just eat it with butter; they also use the insides of the pods as folk cures for warts! In all, a great winter plant that pays for its stay with the nitrogen it fixes, via rhizobium bacteria in its root nodules. A story for another day!